Coptic textiles are among the oldest handmade weavings found in the world today, emanating from the country of Egypt, and containing a history far different than others in the Oriental rug market. Many of the ancient pieces are prized by collectors for their enigmatic origins and symbolism, not to mention the ambiguous timelines from which they spring. The Copts are one of the primary Christian sects in Egypt, also existing as one of the oldest Christian communities in the Middle East. In the time period from 400-800 A.D., a large quantity of the known world had converted to Christianity, and the Egyptians were no exception, being moved away from their earlier faiths through the evangelism of Saint Mark. Not long after the death of Jesus, Saint Mark had traveled to the city of Alexandria to begin his ministry, and left a legacy that built a sizeable Christian community among the populace. This group flourished for centuries until the Muslim conquest in the mid-10th century, when the Copts became, and today remain, the most significant religious minority population in the country. Their contribution to the area’s history was considerable, however, as they had already established a rich culture that would endure to this day. During their peak, the Copts developed their own language, alphabet and unique artistic style, the latter still standing out among others from the Middle Ages. Coptic textiles, in particular, are still considered some of the most ornate and decorative fabrics available from this area of the world. 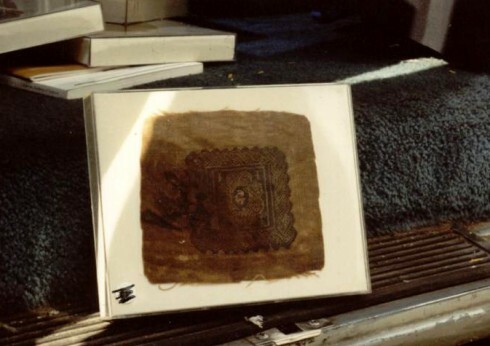 Luckily, an astounding number of these ancient Coptic tapestries, towels, bed sheets and table cloths have survived the centuries, largely due to the arid Egyptian climate shielding them from deterioration. 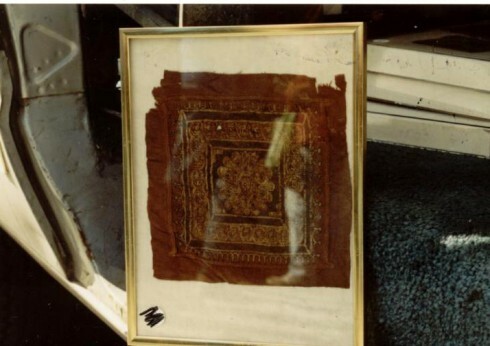 The discovery of Coptic textiles has occurred over the period of a few hundred years, first being uncovered in the 17th century through archaeological digs, and later during Napoleon’s expedition to Egypt. Soon after, even more of these stunning textiles were unearthed in additional excavations that occurred in the 19th and 20th centuries. Many of these findings are presently among collections housed inside European museums, yet there are still numerous variations of the craft accessible to collectors in the market today. As a result of Egypt’s status in the fiber trade, there were a great number of thread types to choose from for weavers in the region, linen being the most popular among them. 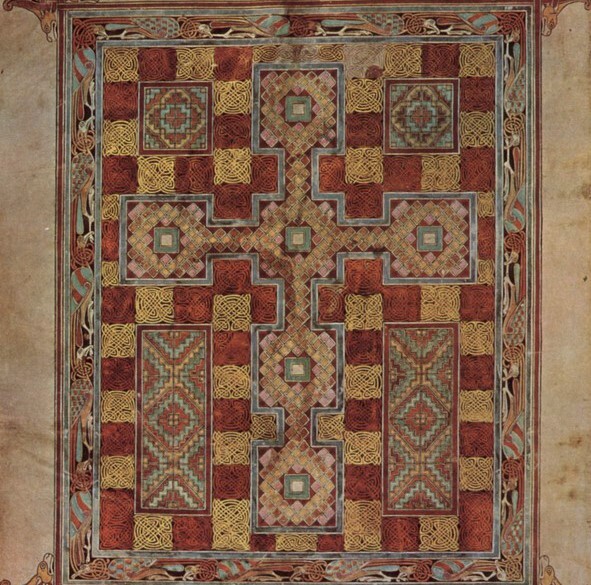 Coptic textiles are commonly distinguished by their use of the “S-twist” of thread, utilizing the natural inclination of linen fibers to rotate in a counter-clockwise direction, and creating a beautiful treatment to their woven designs. These designs often found their way onto Coptic textiles ranging from the profane to those more spiritually symbolic, typically featuring human figures, elaborate spiral-work, and broad bands of color. 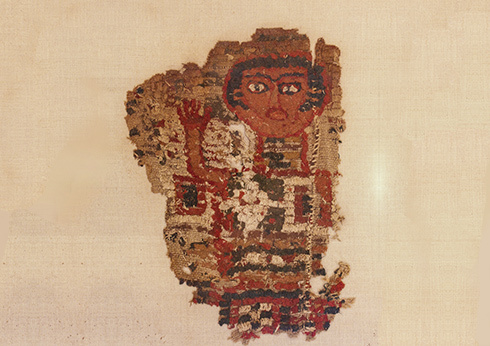 The palette of Coptic textiles is marked by the use of an enormous array of colors, which include reds, blues, yellows, greens, purples, blacks and browns. These colors were derived from a variety of sources, some emerging from local plant life in the area, and others being made of the shells of sea snails or the natural dyes contained in kermes insects. Once knotted together, these dyed threads united to create some of the most spectacular and intricate antique designs in the Oriental rug market, giving collectors and appreciators of the craft a sight truly worthy of honor.